P1080124_Nice, originally uploaded by Pink Lady on the Loose!. 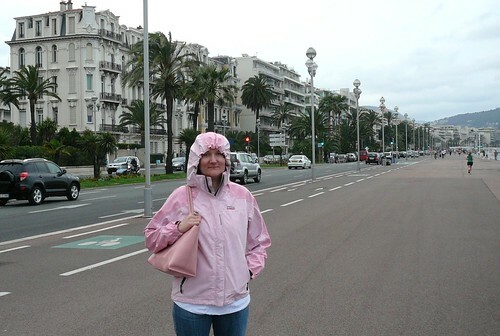 My first time ever in Nice, France (in June 2009), and it was cold and rainy! Just a few weeks ago, I spoke to some business associates who live in Nice, and they said that this is actually typical spring weather there. They said it's been quite rainy in recent years.